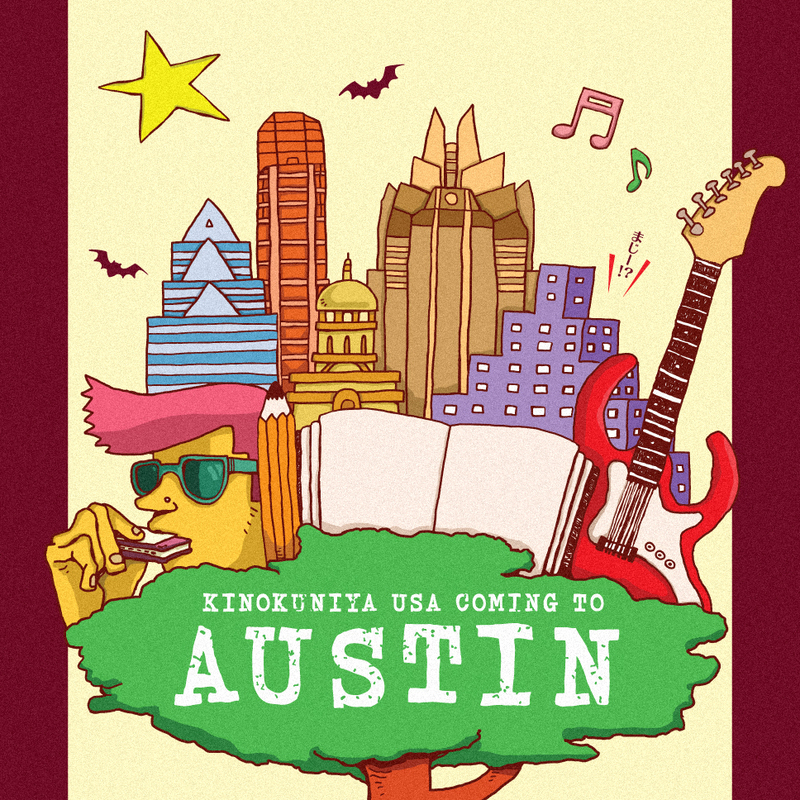 We are excited to bring our Kinokuniya store to the Capital of the state of Texas, Austin! Its population is approximately 700,000, making it is the 11th-most populous city in the United States. Recently, Austin has attracted attention as a fast-growing city in the center of the IT industry. In this growing city, we are planning on opening our 12th store in May 2018. Kinokuniya Austin will carry a wide selection of Japanese books ranging from manga, to art, fashion, and much more. In addition, as a new concept, we will replicate a Japanese classroom inside the store. Through this fragment of Japanese daily life, we will offer a place to meet people and learn Japanese culture through various cultural events and community activities such as Japanese language classes. The new store will also feature the "Kinokuniya Lab," which will establish a new business model for our brick and mortar bookstore. In this space, we will feature and collaborate with a variety of companies and local communities who are looking for opportunities to sell and promote their products, services, businesses and activities. If you are interested in doing an event or selling your products, please contact the store manager, Shigekazu Watanabe (shigekazu_watanabe@kinokuniya.com). Interested in joining our team? Check out our Career page! Please click here for full Press Release.